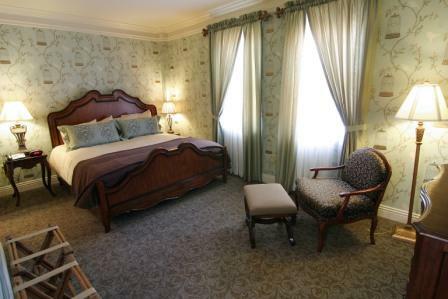 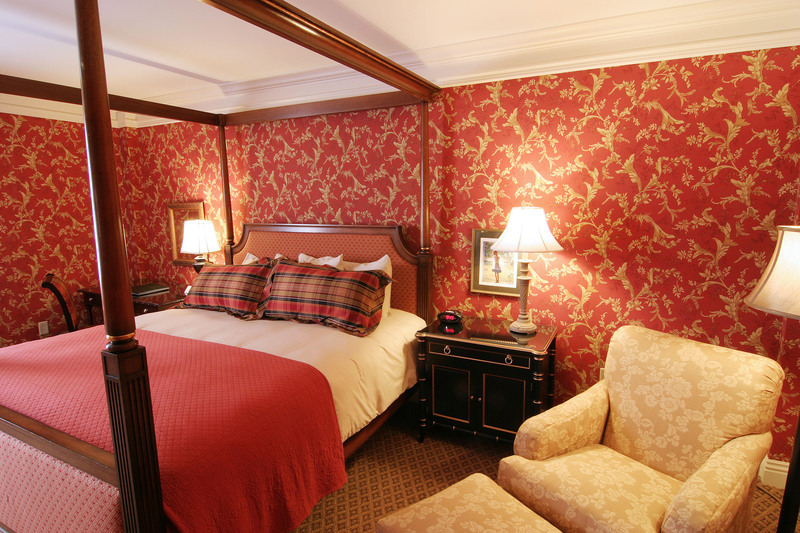 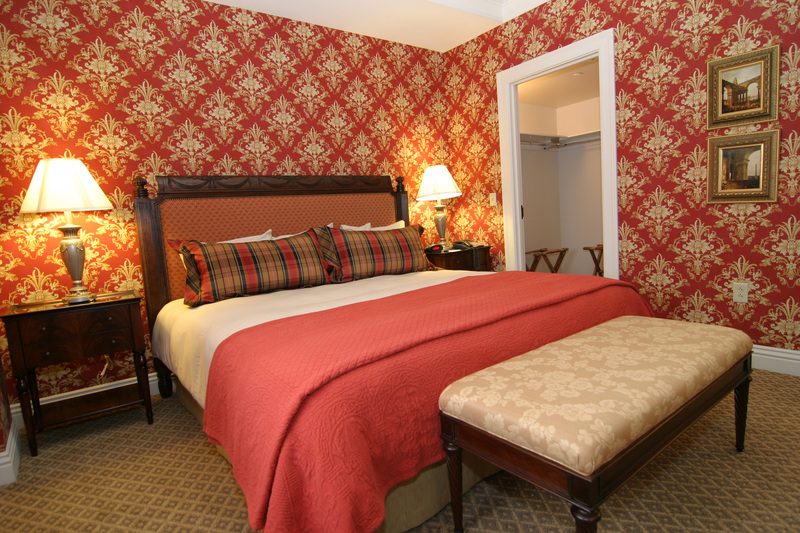 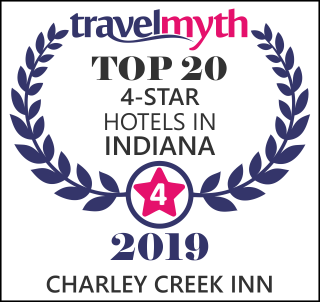 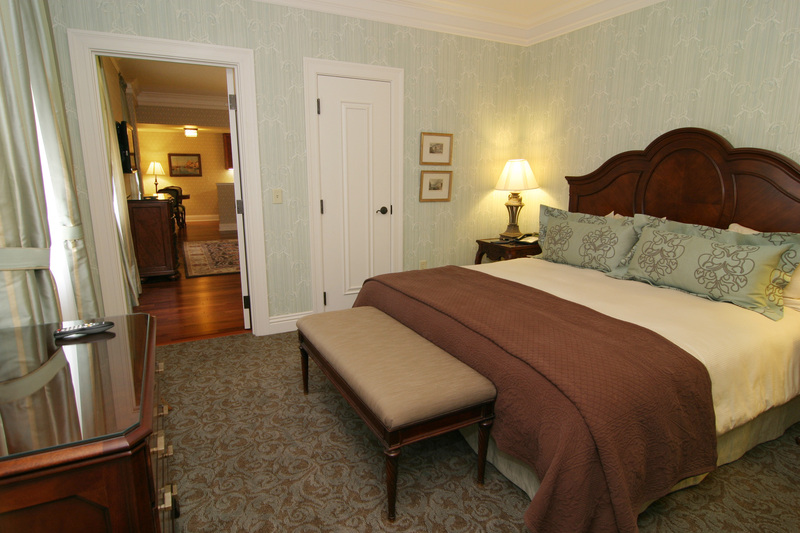 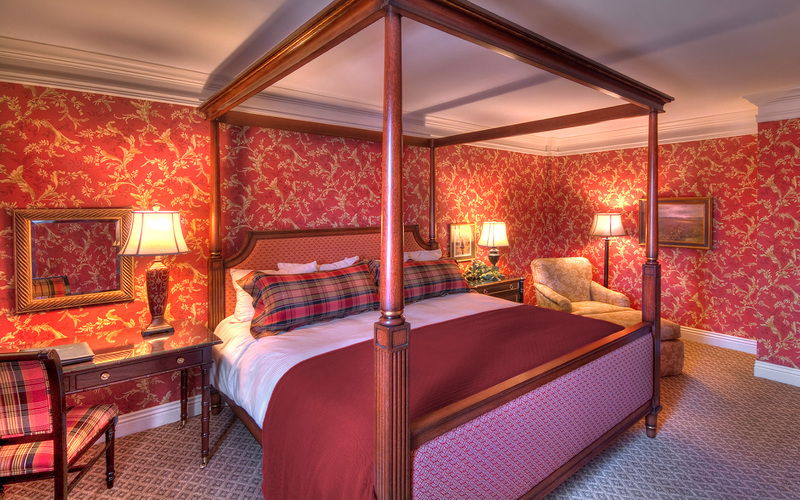 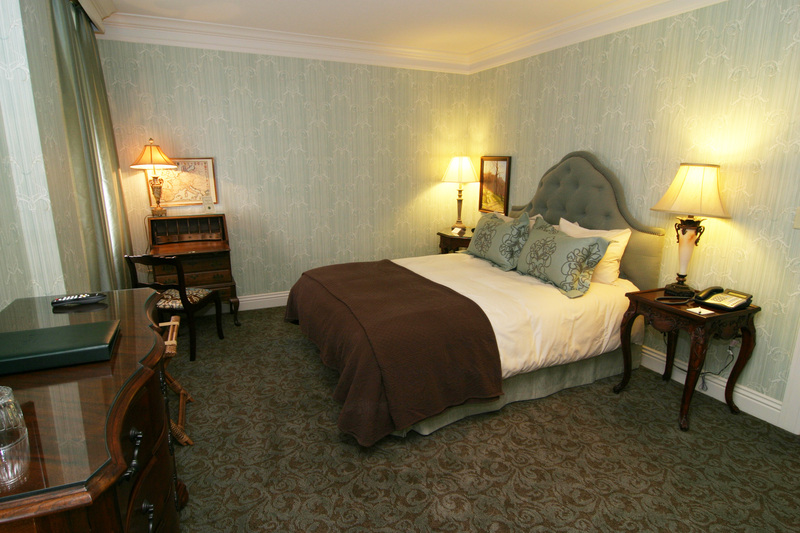 Relax in quiet, tranquil luxury at Charley Creek Inn. 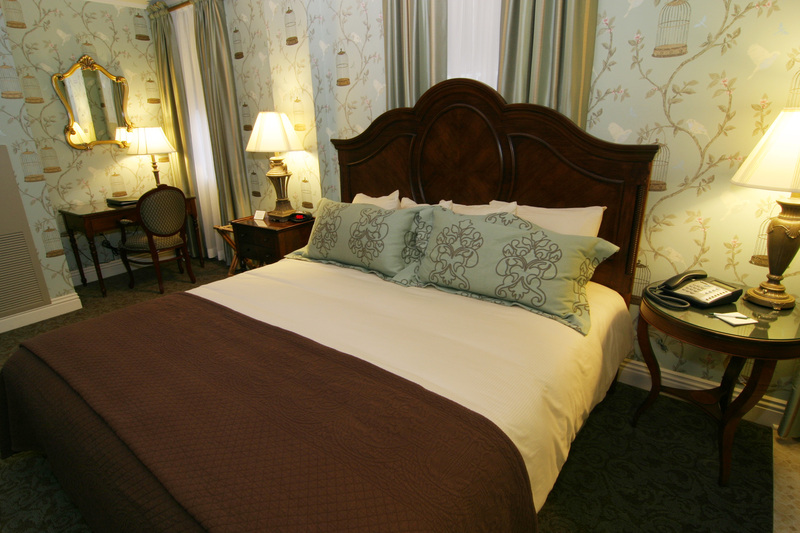 Meticulously restored to 1920s grandeur, this stylish Downtown Wabash hotel is conveniently located near historic sites, boutique shops, museums, and parks. 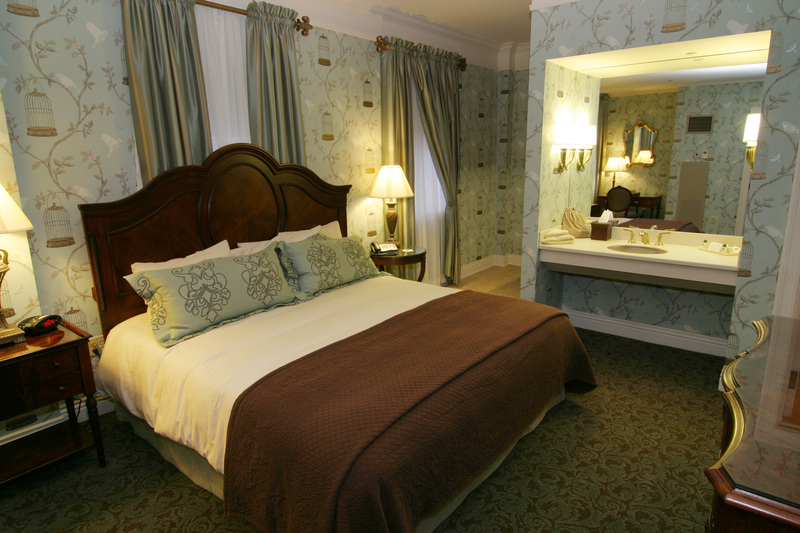 It makes an ideal getaway for individuals, couples, families, and groups. 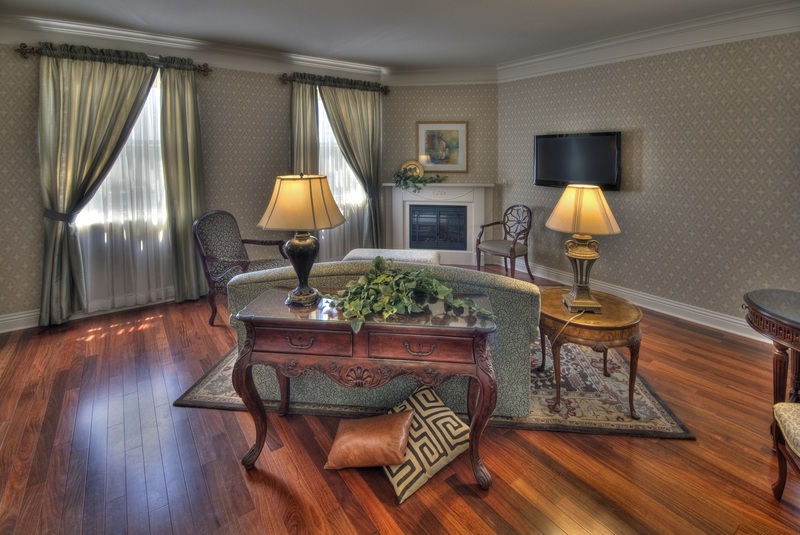 Inviting rooms offer charm that effortlessly blend at-home comforts and luxurious splendor. 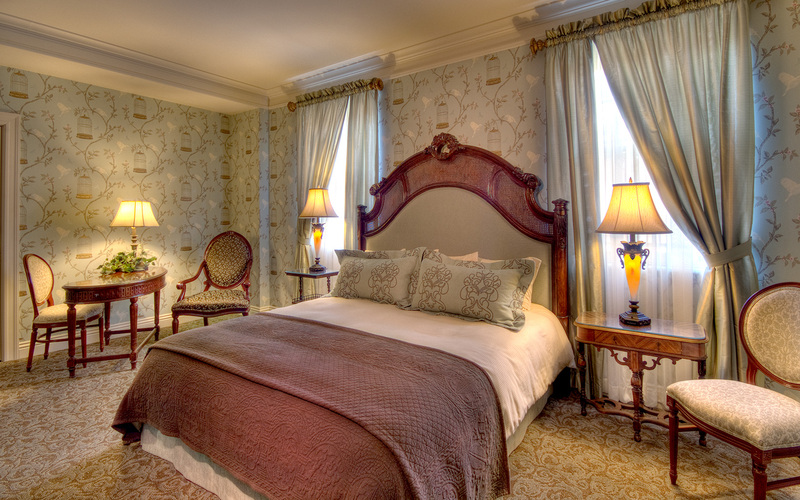 Individually-decorated with vintage wall coverings, designer fabrics, original artwork and antique furniture, 21 guest rooms and 9 suites pay homage to local and regional patrons of the arts, historic preservation and the humanities. 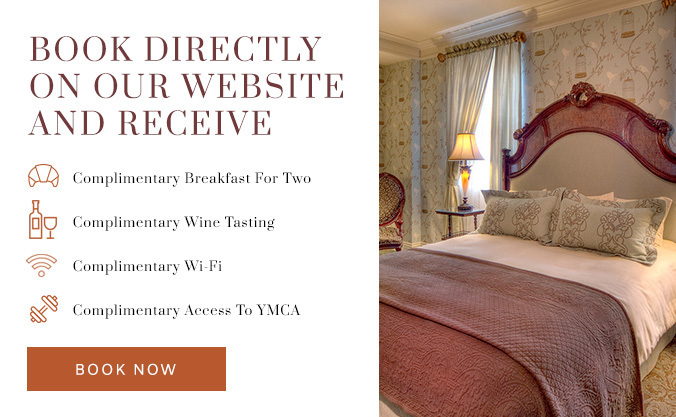 To ensure the most serene stay possible, guests will be surrounded by state-of-the-art amenities, including an oversized flat-screen television, individual climate controls, complimentary wireless Internet access, extravagant linens, and thick comforters. 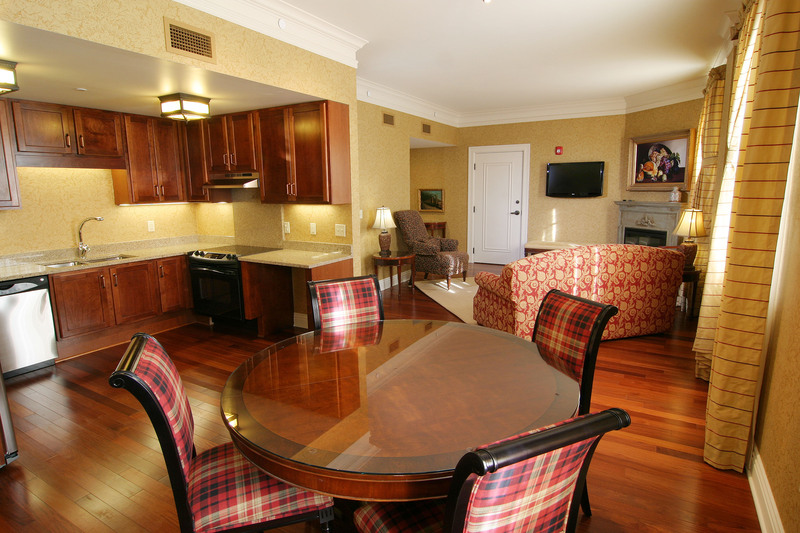 With a variety of accommodations and amenities, there is truly something for everyone. 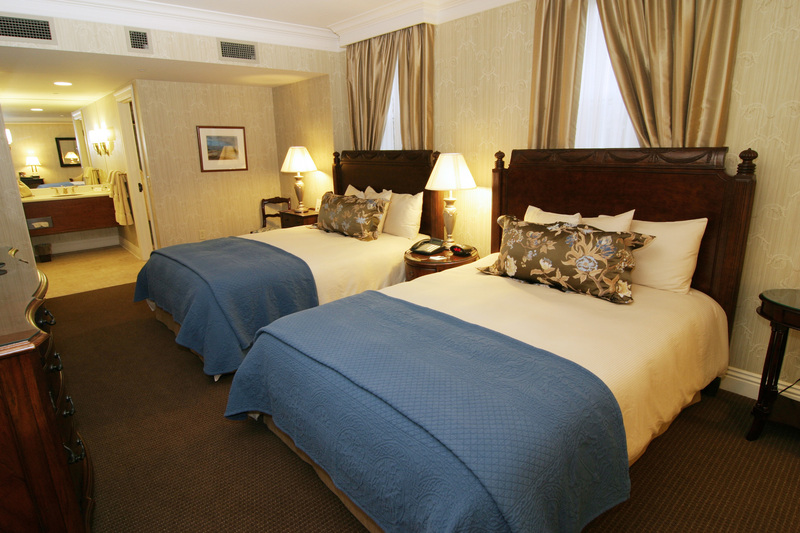 Explore what our rooms have to offer by clicking on an accommodation type below. 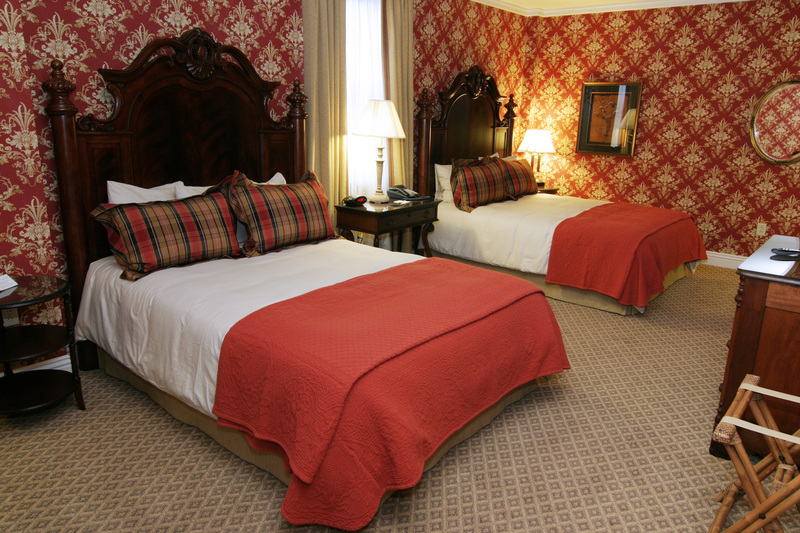 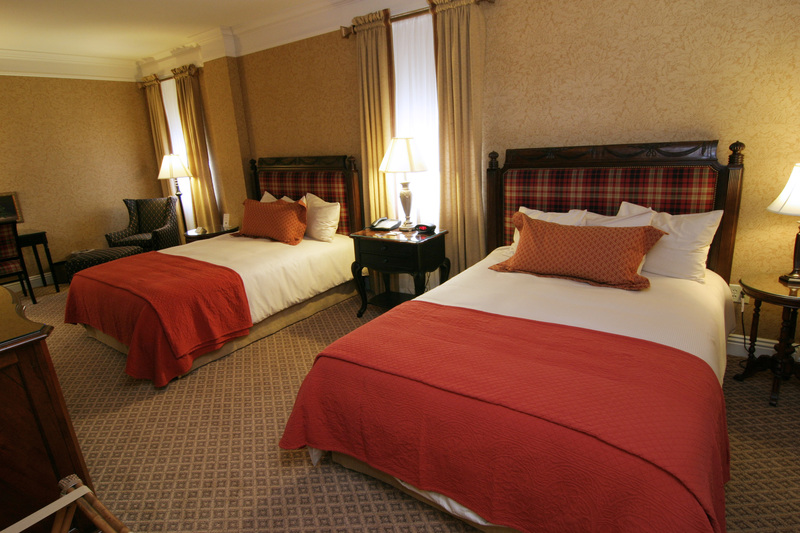 The Double Queen Superior Guest Room has two queen beds, and the bathroom has a standard tub/shower combination. 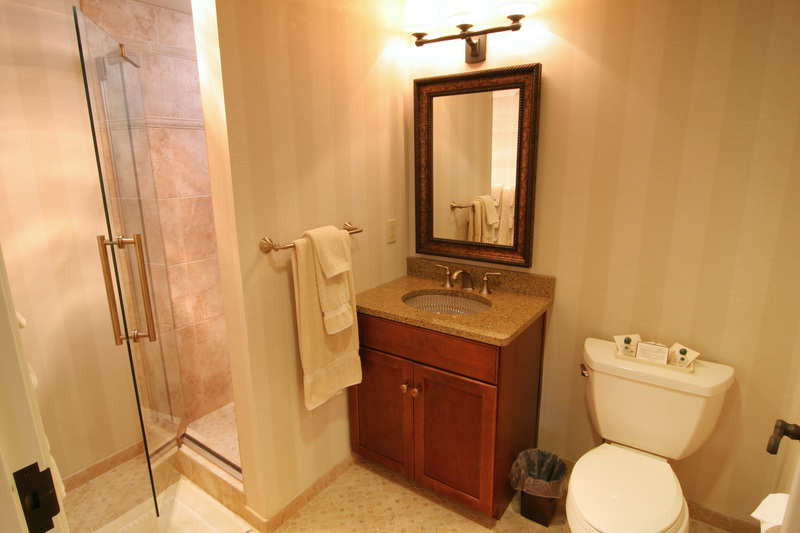 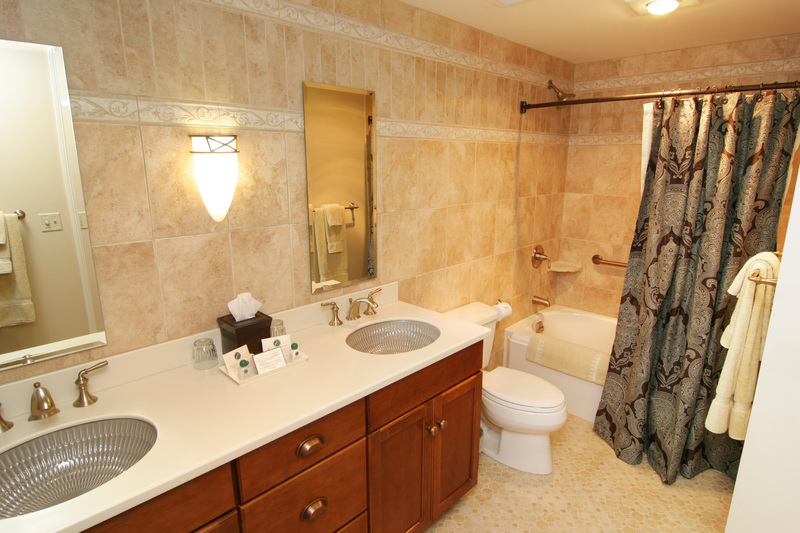 The Queen Superior Guest Room offers a queen bed, and the bathroom has a spa tub/shower combination. 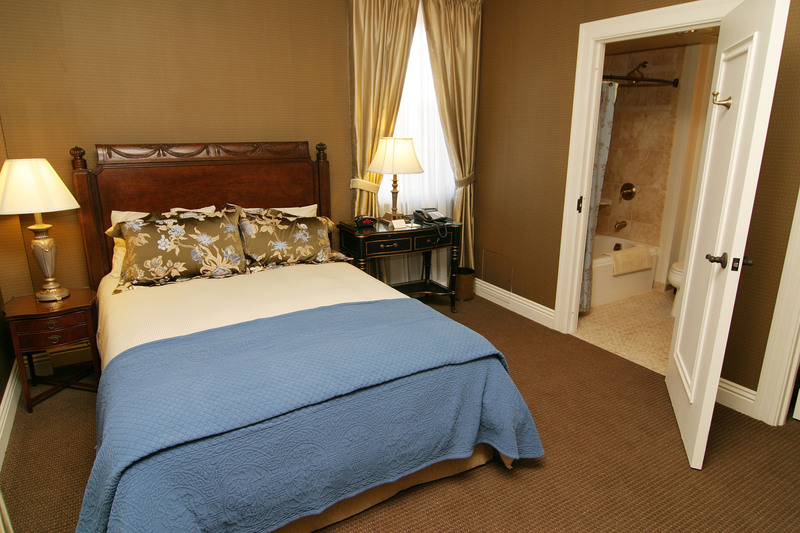 This spacious guest room has two queen beds, a small kitchen, and a bathroom with a standard tub/shower combination. 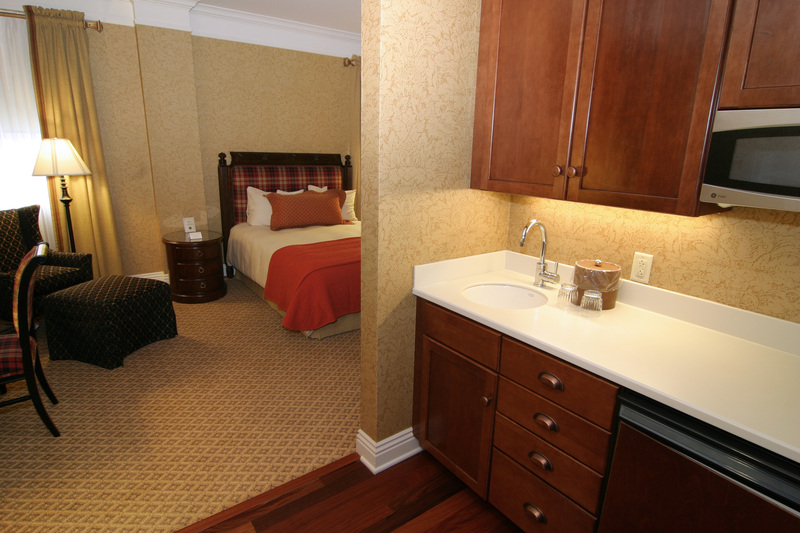 This oversized guest room contains a king size bed, a small kitchen, and a bathroom with a standard tub/shower combination. 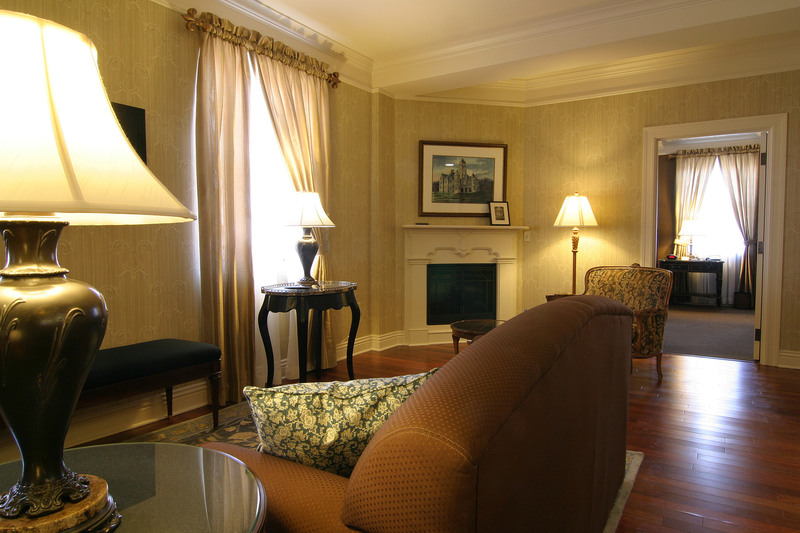 Honoring two Wabash residents, this beautiful room, featuring a living room, king bedroom (with bathroom), queen bedroom (with bathroom), and small kitchen, is perfect for larger groups. 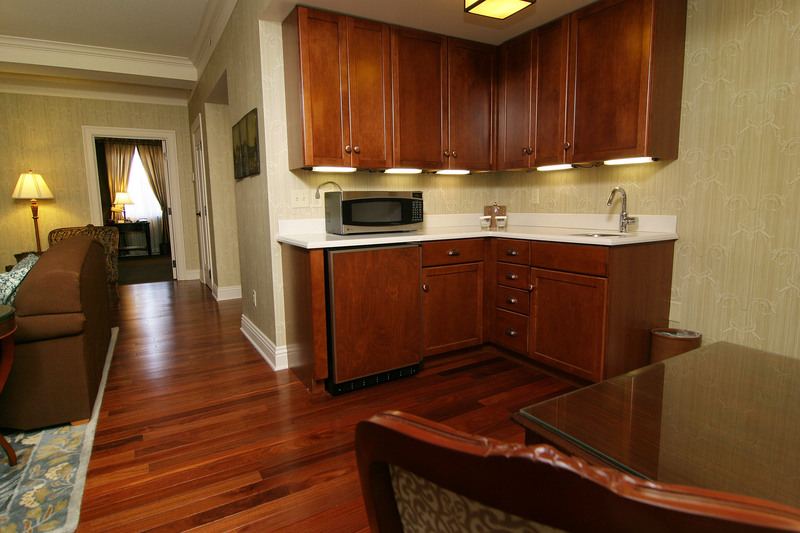 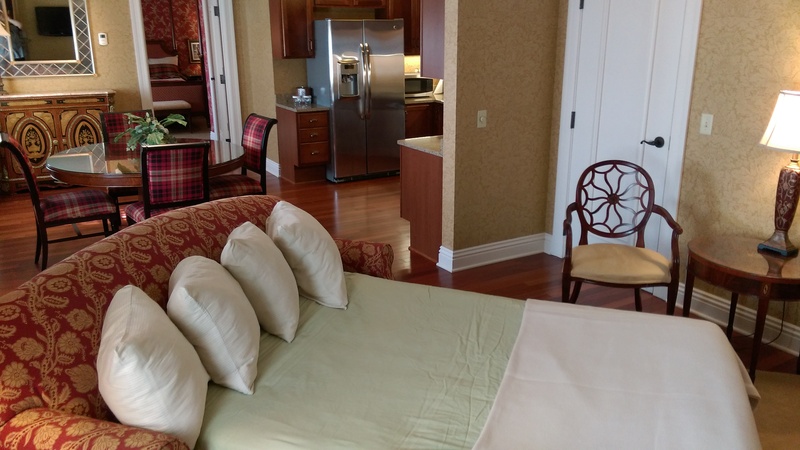 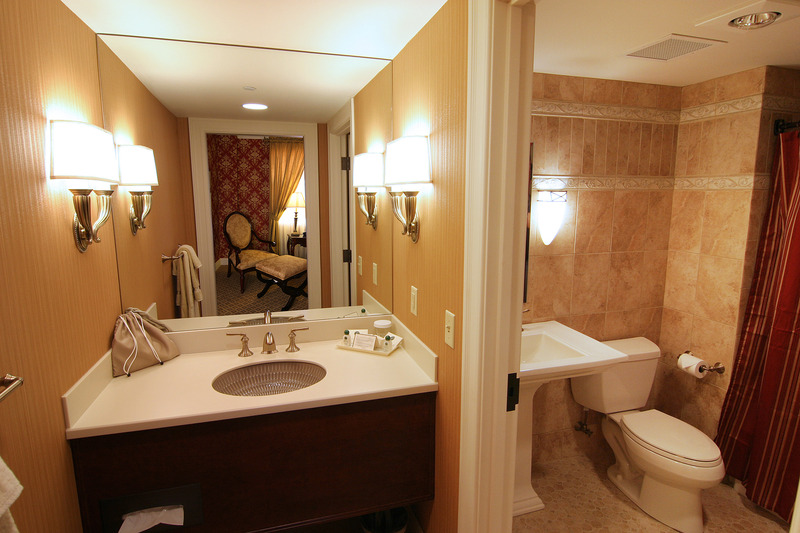 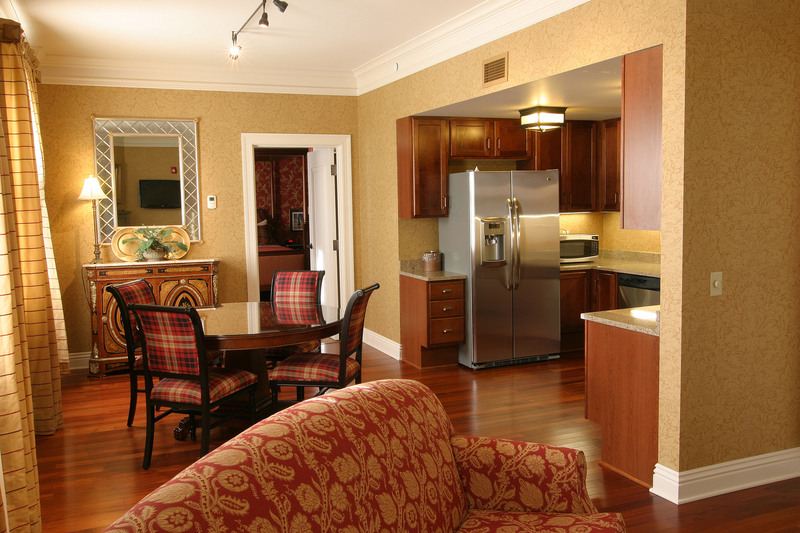 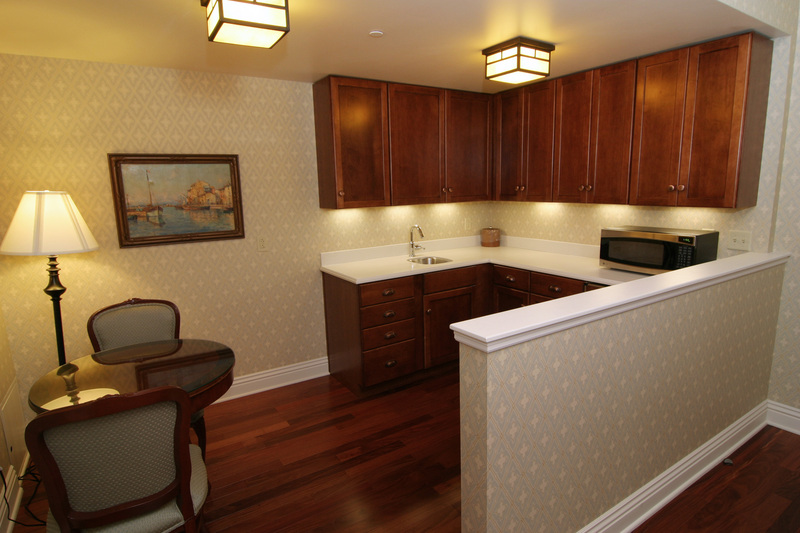 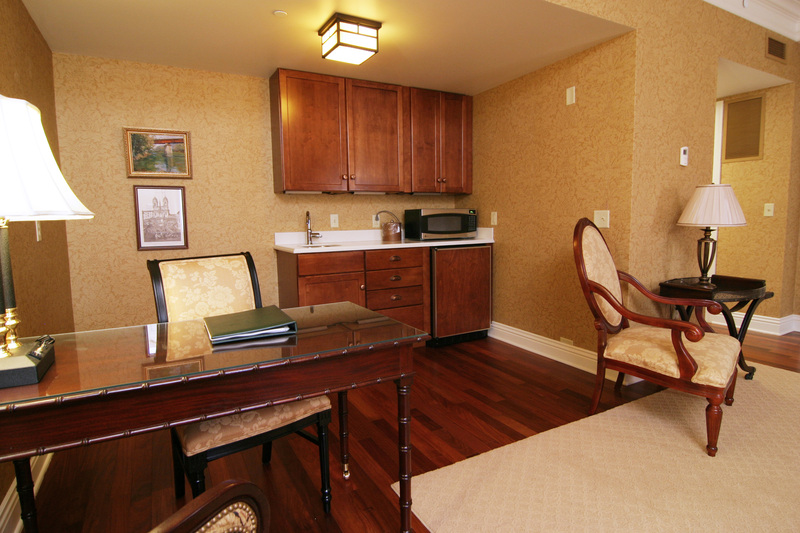 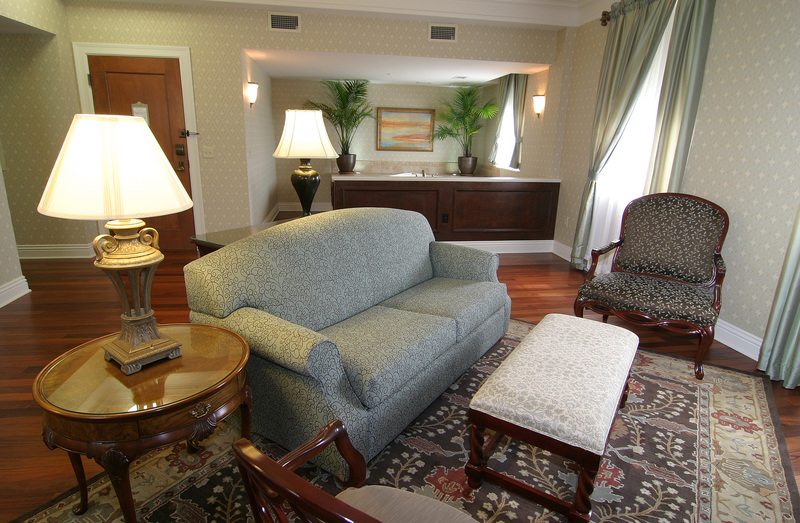 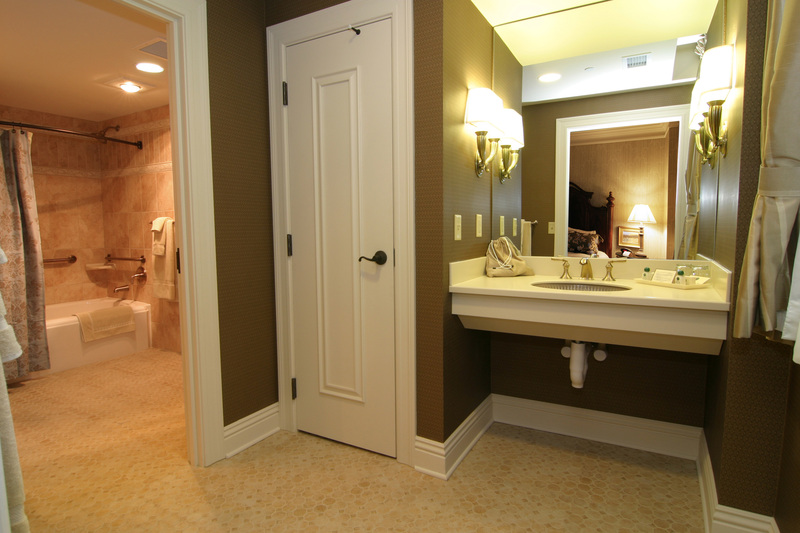 Recognizing Wabash’s Honeywell legacy, this suite is also known as the Romantic Suite for its large jetted tub, beautiful sitting area, and kitchenette. 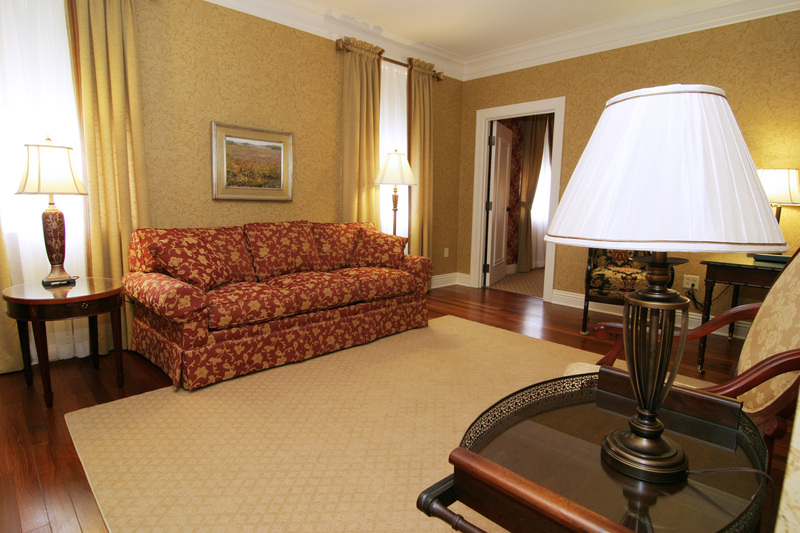 Named for some of Wabash’s early settlers, this gorgeous suite offers a living room, king bedroom, and a dining room with full kitchen. 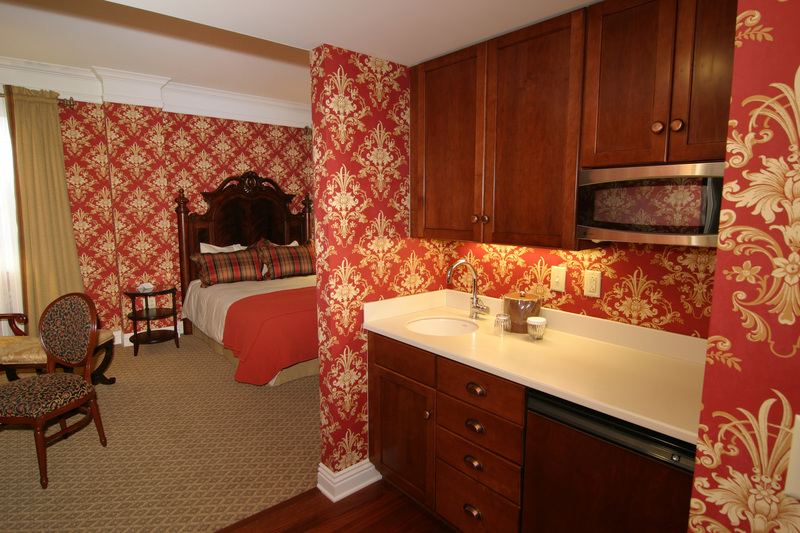 This two-room suite contains a living room, bedroom with king-size bed and walk-in shower or spa/tub combination, and kitchenette. 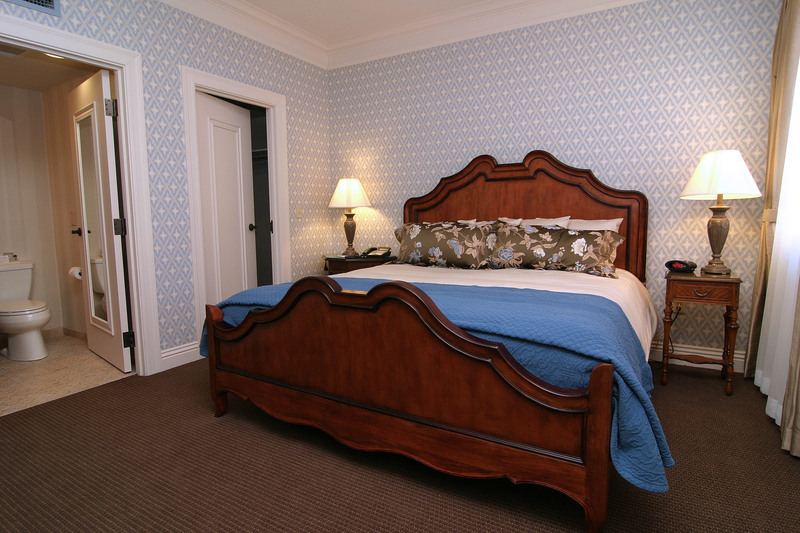 The King Superior Guest Room has one king bed and a bathroom with a walk-in shower or tub/shower combination. 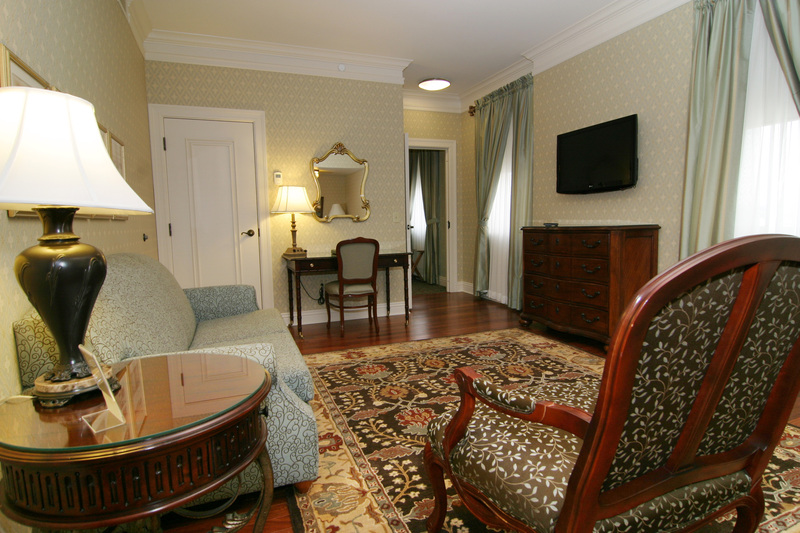 Many adjoin with other rooms, ideal for families or groups.